A ball-peen hammer isn't the only tool you need to remove a Mercruiser gimbal bearing. So you need to replace the gimbal bearing on a Mercruiser sterndrive. Removing and replacing the bearing takes only a few moments. You might feel the project requires you to strip and recover everything between the bell housing and the propeller. You'll have to keep track of seemingly endless screws, bolts, washers and nuts. Remove the two screws that hold the trim position sensor in place. Remove the trim-limit switch. Remove the anchor screws that connect the shift cable and shift plate and remove the cable-end guide. Loosen the jam nut; cut the safety wire around the threaded tube and remove the threaded tube. Pull the support tube from the shifter's core wire and remove the shift slide's setscrew. Remove the shift slide and shift cable. Remove the bellows crimp clamp. Remove the shift cable cover from the shift cable coming through the inner transom. Push the drive's water tube through the gimbal housing and remove the water tube cover. Pull the hinge pins that hold the bell housing and the gimbal ring together. Use a heat gun, if you must, to melt the Loctite holding the pins in place. Remove the grounding connections -- disconnect the continuity wire on the port side of the bell housing. Loosen the hose clamps for the U-joint bellows, and the exhaust bellows, then pull the bellows and gimbal housing apart. Heave around on the shift cable and pull it through the shift cable bellows. If the upper swivel shaft has a grease fitting, fill it to overflowing with 2-4-C marine lubricant. Loosen, but do not remove, the two screws and two nuts on the face of the gimbal ring. Remove the cotter pin on the starboard side of the gimbal ring, remove the lower swivel pin on the face of the gimbal ring and remove the washer found behind the swivel pin. Disconnect the green-and-white striped continuity wire that provides the specialized ground that protects swimmers near the boat. Move to the top of the gimbal ring and loosen the steering lever screw and nut. You need to push a 9/16-inch socket and extender through the access hole on the starboard side of the gimbal ring, then insert a second 9/16-inch socket and extender into the access hole on the port side of the ring to hold the nut. 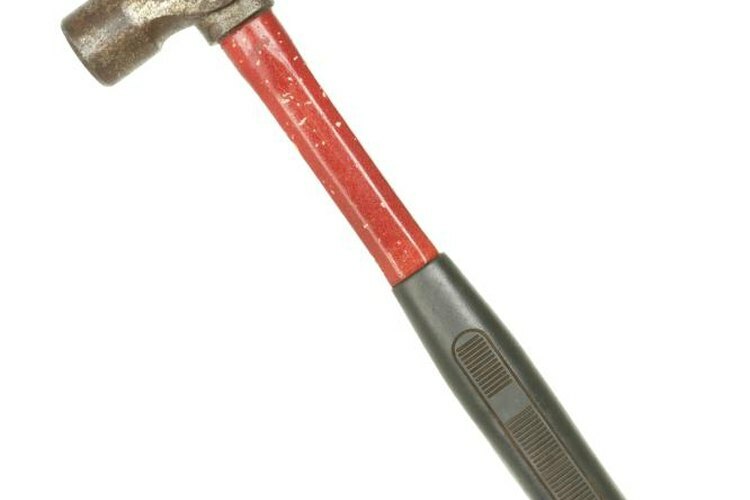 Remove the nut from the top of the swivel shaft, by drifting the nut with a pin punch and ball-peen hammer. Remove the upper swivel shaft and steering lever from the gimbal ring, using a 7/8-inch open-end wrench. In addition to the nut and the horizontally placed steering level, you'll also remove a washer with a large inside diameter, a washer with a small inner diameter and the vertically oriented, upper swivel shaft. You're almost there. Locate the bearing and seals on the top of the gimbal ring. Place a Mercury bearing and seal driver, Mercury Part No. 91-33492, on top of the bearing and seals. Tap the bearing driver with a ball-peen hammer until the gimbal bearing and seal separate from the gimbal ring. When you reinstall the bearing and seals, stand the gimbal ring on its head, set the bearing and seals in place, with the seal lips facing away from the gimbal ring. Set the bearing and seal driver in place on the seal and bearing and tap the driver until the seals pop into place. Thereafter, reassembly is merely a matter of reversing the steps used to remove the gimbal ring from the bell housing, then reconnecting control actuators and electrical safety protection grounds and reinstalling the sterndrive's bellows. Place adhesive labels on six empty clean jars. Before you remove any bolt, nut, screw, washer or other fastener, label a jar with the location from which you remove those parts and place the parts in the labeled jar. This makes it difficult to confuse the fasteners from one location with those of another. Disconnect the negative cable of the boat’s battery before performing any maintenance work on the boat’s engine, using a 5/16-inch box-end wrench. Lift the cable from the battery, move it outside of the battery box and close the lid of the battery box. After the work is complete, reconnect the negative battery cable. Before you begin work on your boat’s engine, remove the propeller nut with a propeller wrench. Slide the thrust hub, propeller and washers from the propeller shaft. Failure to remove a propeller before working on an engine that’s out of the water is an invitation to a propeller-strike injury, which can maim or kill.